Published on May 12, 2011 by cara.b.b. specifically, roman…shades. 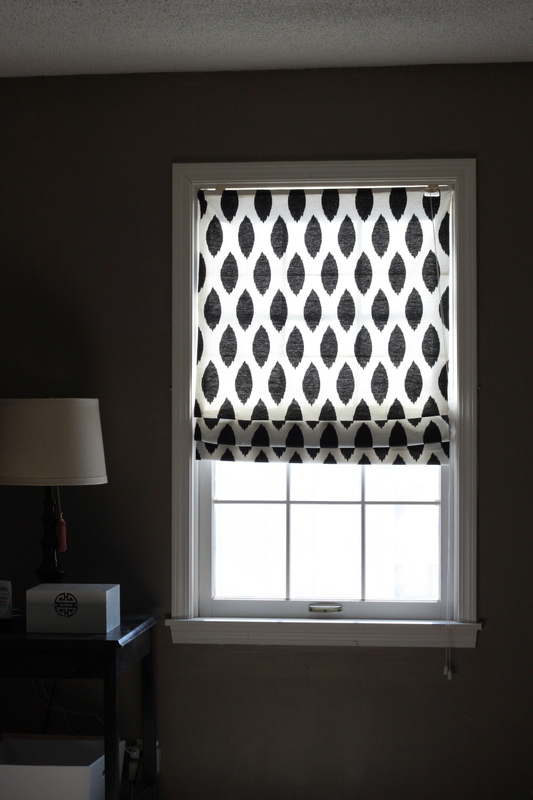 a while back, i saw this tutorial on how to make roman shades out of mini blinds. i’d been wanting to get new window treatments for our bedroom, but i was stuck. the room doesn’t really accommodate drapes – we have one window in a dormer, and the other is off center on the wall, so it just wouldn’t look great. 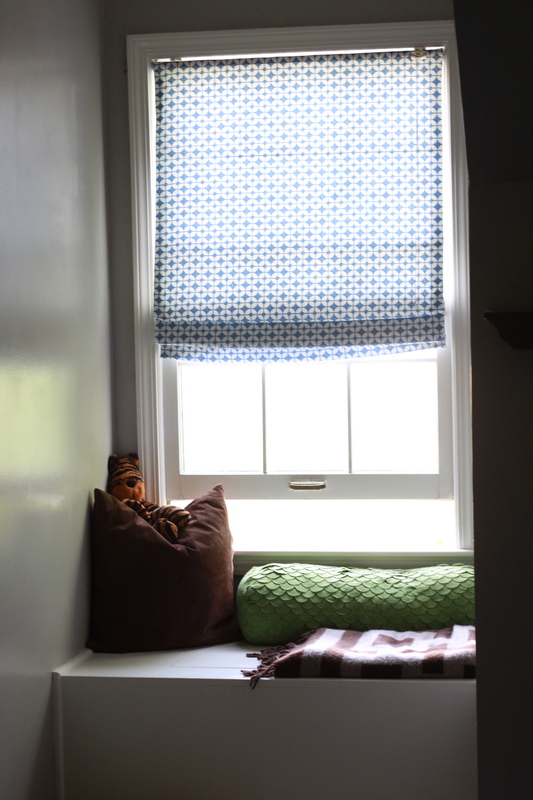 i actually had 4 roman shades in our house that were plain old white, so i thought i’d do my own spin on the tutorial that jenny did. custom roman shades cost a fortune. i had only invested about $40 in fabric, so i thought it was worth a shot. 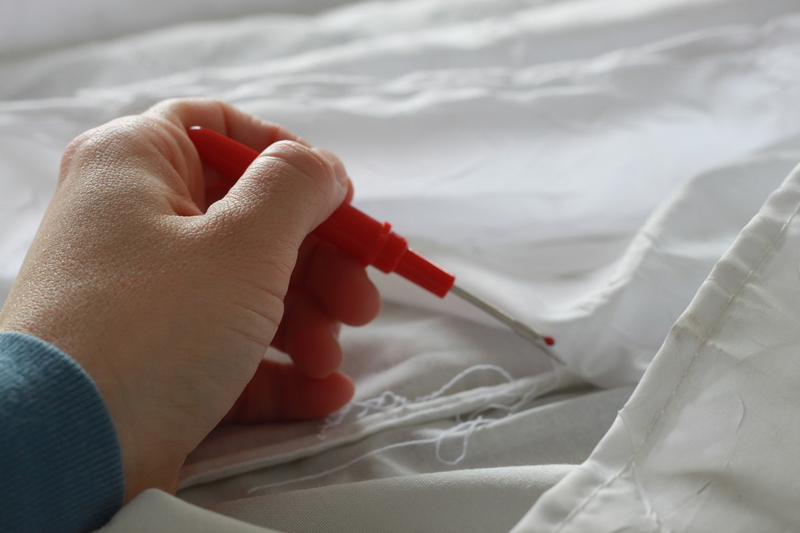 first, i used a seam ripper and took off the top layer of the shade. this was really easy, but a little time consuming since there were five or six seams on each shade. this left a ‘base layer’ of the shade, to which i could attach my new fabric. next, i cut my new fabric to size, leaving about an inch and a half on each side to make sure i could secure it to the base shade. you could sew this, but i just used fabric glue, and i’m happy with the result. 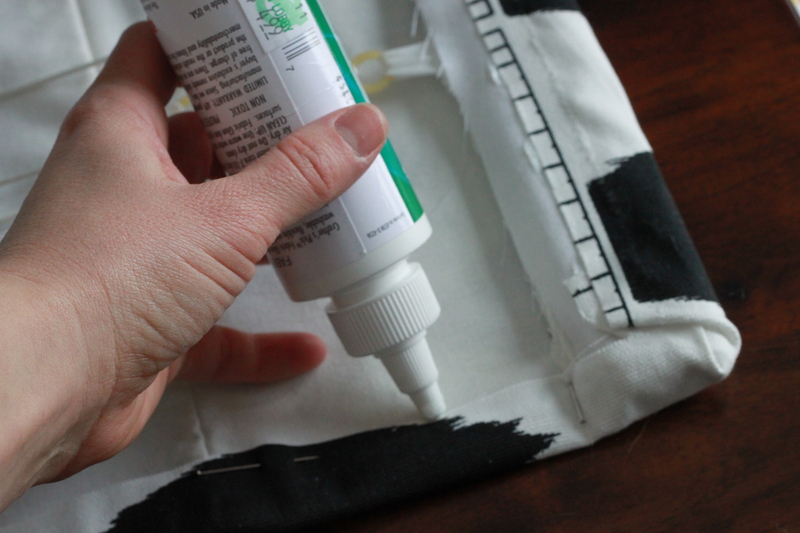 i pinned along the way to make sure the fabric wouldn’t pull up after the glue was down. if you’re looking for perfection, you could fold over your fabric twice so you have a clean edge on the back, but i was too darn impatient…and who’s looking at your windows that closely? if they are, they shouldn’t be. once i was done, i let the fabric glue dry for a few hours and then i rehung the shade. 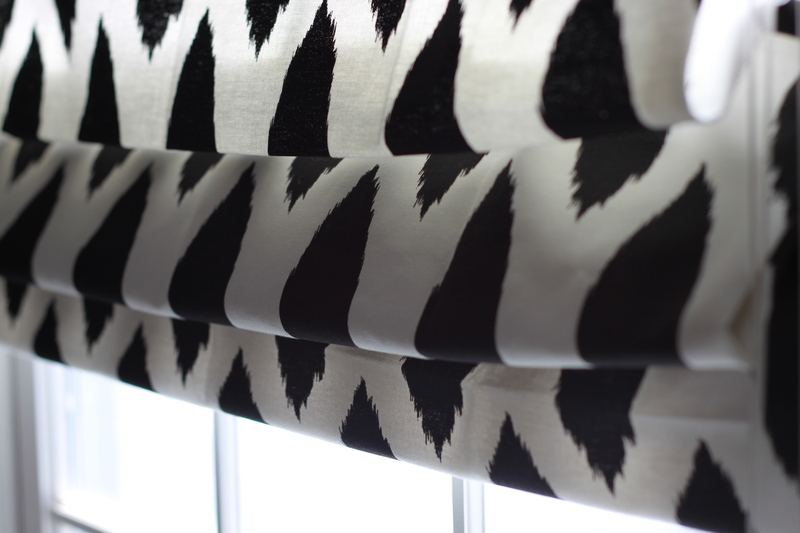 i did two in our bedroom, and one for our bathroom – all from the same black and white fabric. it gives our bedroom some much-needed pattern and still allows a good amount of light to come in. i made one for the short guy’s room too. Love it! 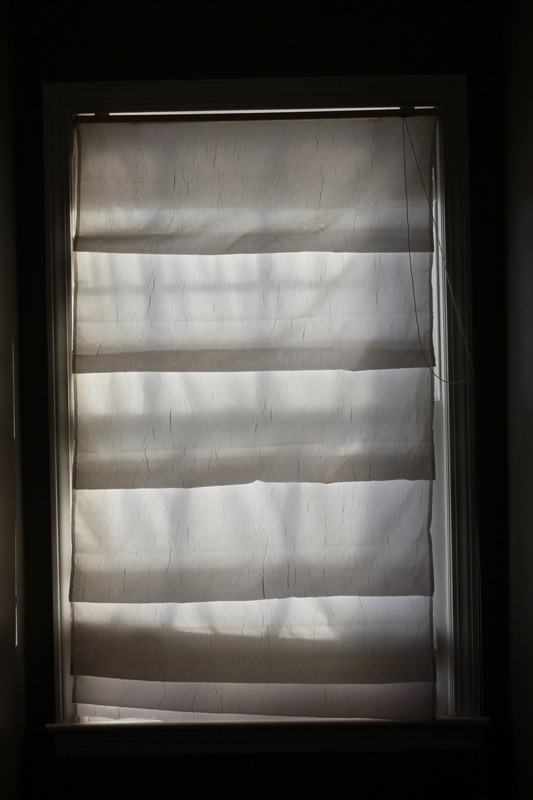 I made a faux roman shade using a pillowcase. It’s just hanging out, waiting to be hung because I need to paint my bedroom first. Bah. More painting. I don’t see the dowels on the one you covered. Is that just because it’s concealed by the fabric? Exactly the look I was going for!